How to find the area of a sphere? What is the area of a sphere formula? With our area of a sphere calculator, you can analyze every parameter of a sphere you want, but it is chiefly dedicated to its surface area. How to find the area of a sphere? If you only want to estimate its value, enter one of the chosen quantity into the right field. However, if you want to learn about the the area of the sphere formulas, keep reading the following text. 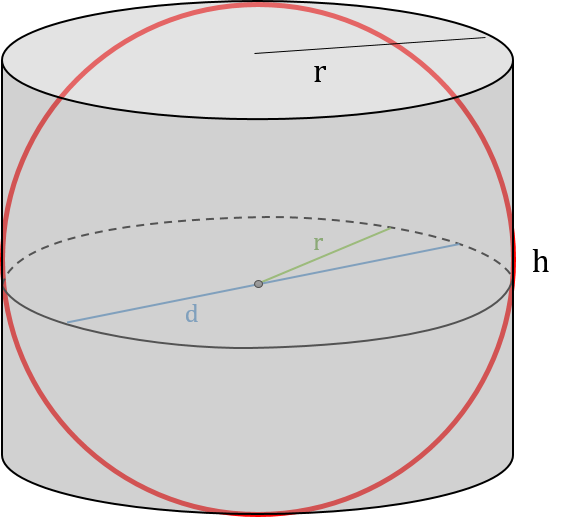 A / V - surface to volume ratio of a sphere. A sphere is a special object that has the lowest surface to volume ratio among all other closed surfaces with a given volume. It is just like a circle which encloses the largest area with a given perimeter compared to the other flat figures. If you want more general information about spheres, head on to the sphere calc! We can divide any sphere into two equal parts, which are called hemispheres. Equations that describe hemisphere are very similar to those which we have presented in the below sections for a full sphere. Are you curious what are properties of the hemispheres? Check out our area and volume of a hemisphere calculators and learn more about that kind of objects! 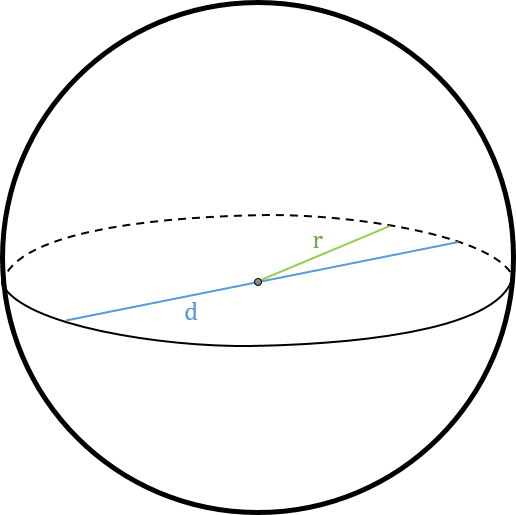 which is well-known area of a sphere formula. Surface to volume ratio of a sphere: A / V = 3 / r.
Given surface to volume ratio: A = 36 * π / (A/V)². 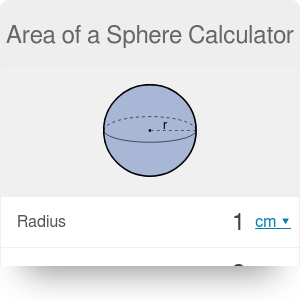 Our area of a sphere calculator allows you to calculate the area in many different units including SI and imperial units. Also, if you want to learn how to estimate surface areas of other figures, check out our surface area calculator which is a more general tool. Area of a Sphere Calculator can be embedded on your website to enrich the content you wrote and make it easier for your visitors to understand your message.